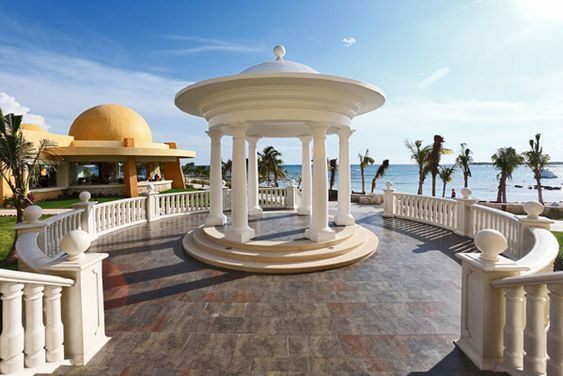 The Barcelo Maya Palace sits on a gorgeous stretch of white sandy beach that is ideal for a high-end destination wedding, located along the Yucatan Peninsula in the beautiful Riviera Maya. After your wedding ceremony there is plenty of more exciting activities to explore offsite. 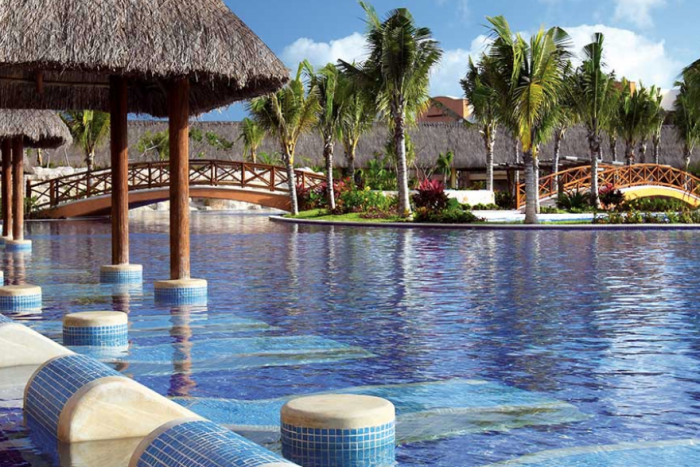 Take a visit to Playa Del Carmen, or book an excursion to swim in the famous Mexican cenotes, although it might be hard to leave the resort’s sleek infinity pools or the impeccable service that is offered around the clock. Newly renovated and now featuring more contemporary decor and architecture. Some swim-out suites options have even been added to the resort’s layout. 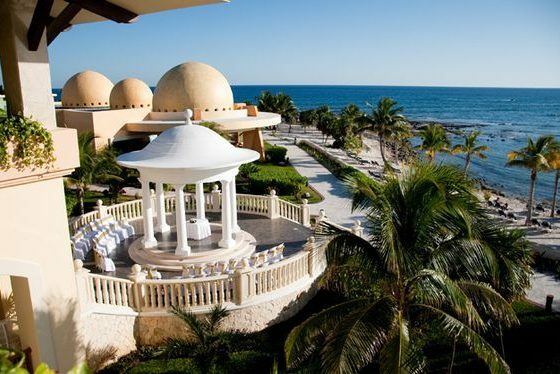 Your wedding guests will have access to facilities at Barcelo Maya Colonial/Tropical and Barcelo Maya Caribe, but they won’t have access to any of your facilities at the Palace, offering added exclusivity. Shuttle service is offered to and from these other hotels. 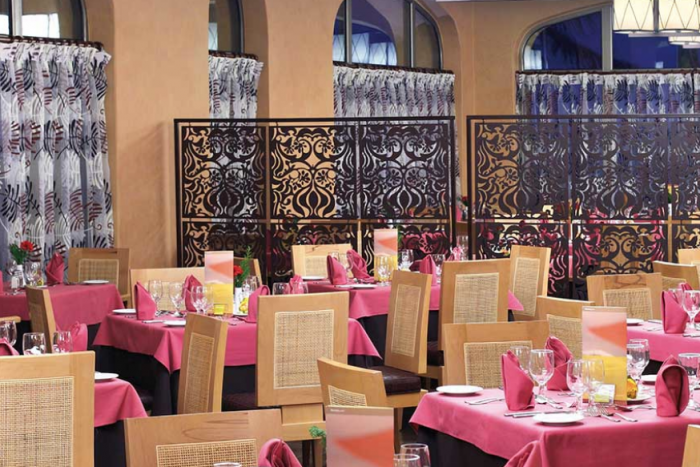 Guests have access to a large shopping mall with plenty of boutiques, a bowling alley, teen nightclub and much more! The Coconut Paradise package (the package above Blueberry Dream) becomes complimentary when you reserve a minimum of 15 rooms for 7 nights. Catholic and Indian wedding packages are available. Upgraded packages, additional guests, and add-ons are available for an additional cost. 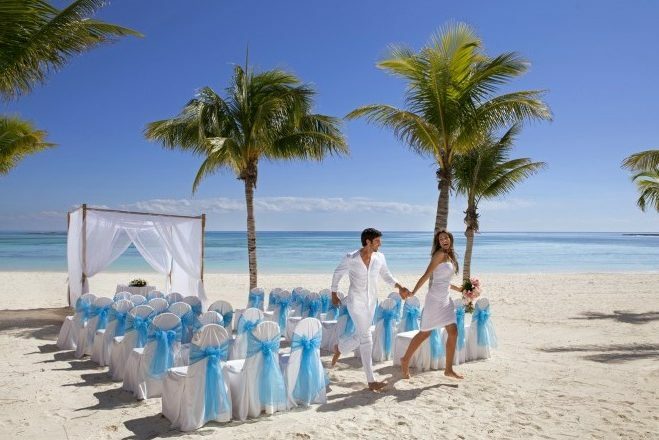 Beach – 300 guests max, Gazebo – 100 guests max, Chapel – 100 guests max, Beach Garden – 80 guests max. 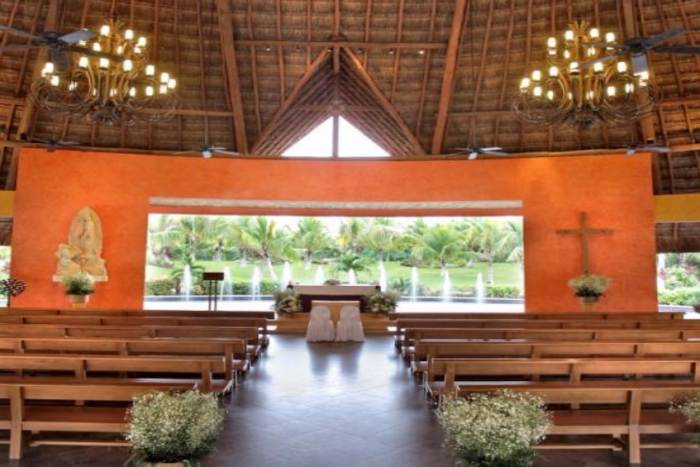 The Barcelo Maya resort complex is able to hold up to 9 weddings per day maximum, but typically only hold 1 – 2 a day. It is recommended you book at least 6 months in advance if you have a specific date in mind. The wedding coordinator typically responds same day or within 24 hours. $140 – $175 average price per person per night. Rooms include private balcony or terrace and daily restocked minibar. If a suite is booked within the Club Premium category you will receive exclusive check-in and check-out, access to a premium club lounge with premium cocktails, private concierge service and much more! There are 756 all junior-suite or suite rooms with resort and ocean views. Due to the large size of the resort, it is recommended for more active guests. Shuttles are available for access to the amenities at neighboring resorts. The busiest months for weddings as recorded by their wedding department across the multi-resort complex, with highest chances of sell-out, are March – July, September, and October. This hotel allows a maximum of 3 adults or 2 adults and 1 child 12 and younger. The resort is located 12 miles from the CUN airport.